Only the finest appointed interiors with luxury finishes. RiversEdge offers several unique and spacious floor plans. Choose from studios, one- or two-bedroom apartments, and three-bedroom penthouses. All RiversEdge apartments are open and spacious, with luxury amenities including granite counter tops, private garages, and large walk-in closets. Start enjoying an urban lifestyle in scenic Downtown Greenville – schedule a tour of RiversEdge now. At 400 square feet, this space is a cozy studio apartment. It has an open living area with kitchen, a large bathroom, a walk-in closet, and a utility room with washer and dryer. 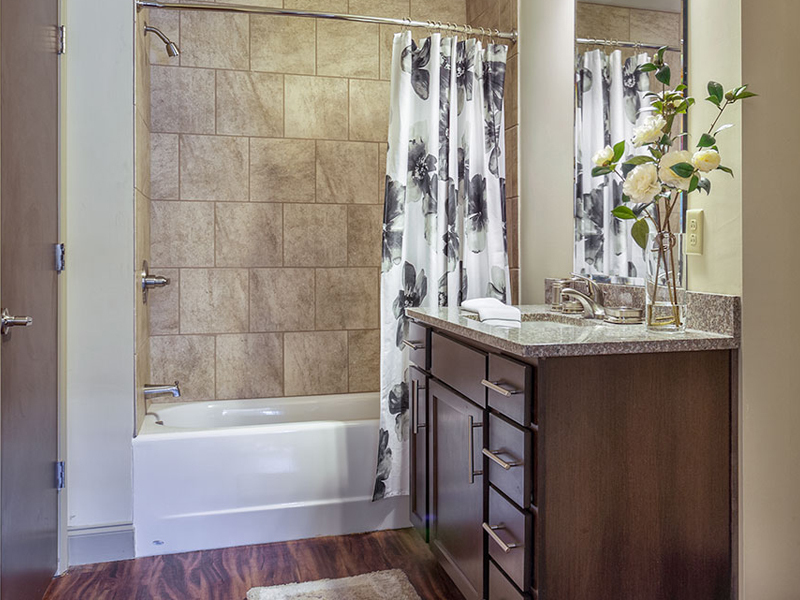 This one-bedroom, one-bath floor plan is 721 square feet. You’ll enjoy an open living area, a U-shaped kitchen, and a large bedroom with en suite bath and walk-in closet. A utility room includes a washer and dryer. 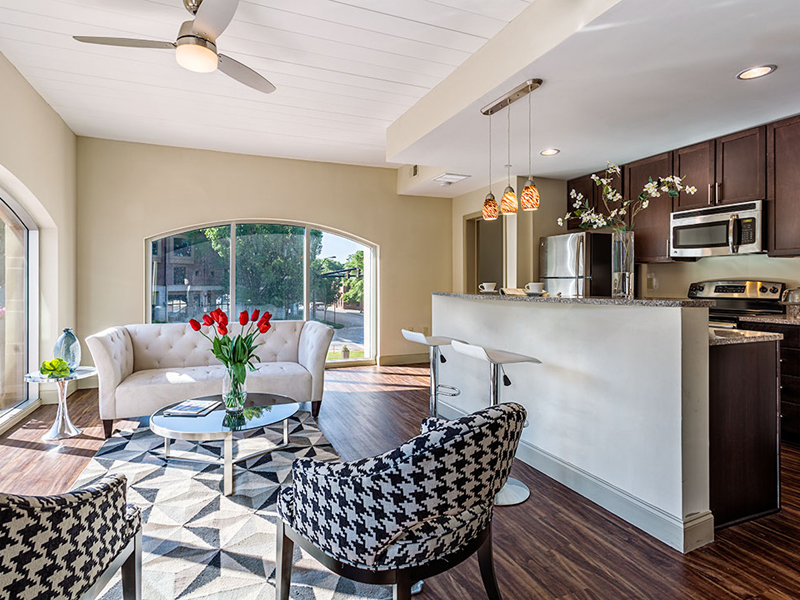 The typical 2 Bedroom / 2 Bath offers a spacious 1,054 square feet of living space. This split floor plan has two large bedrooms with walk-in closets and en suite bathrooms flanking the common living space. The great room includes an open, galley-style kitchen with breakfast bar. Enjoy amazing views of the city from your penthouse! The penthouse floor plan is a three-bedroom, two-bath apartment with 1,900 square feet of living space. This luxurious floor plan features a large kitchen with breakfast bar, an open living area with balcony, and a large master suite with two closets and a bathroom with dual vanity. Two additional bedrooms and another full bathroom are located on the opposite end of the penthouse. A full-sized laundry room with sink is located near the foyer.